It’s here. The third “March against the ELA” begins to take the previous steps with points enabled for the reservation of registration and T-shirts. 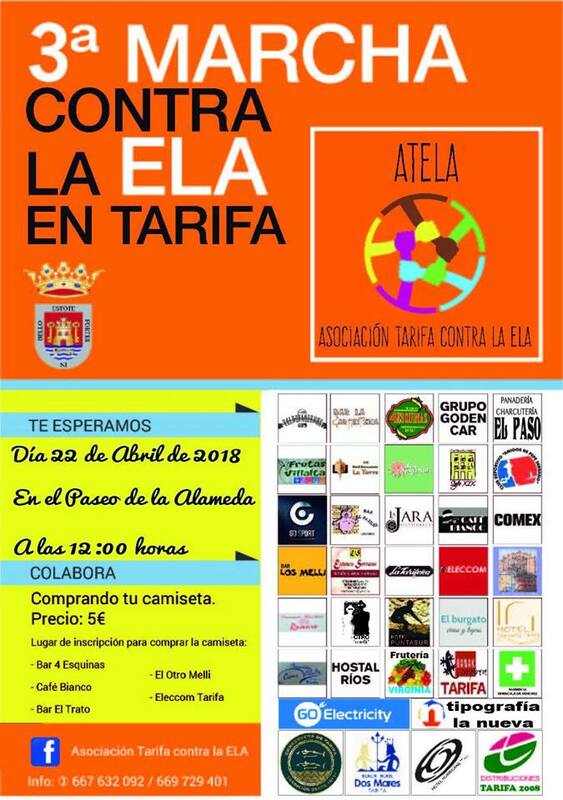 You know, it’s about filling the streets of the historic center of Tarifa with the orange color that denotes the struggle assumed by ATELA and all those who ask for more research on Amyotrophic Lateral Sclerosis, ELA. For only five euros you can join efforts in a common cause. To not miss any of the steps, you can direct the prize to the registration. They work in local shops such as ELECCOM Appliances, “El otro melli” bar, “Bianco” café, “El Trato” bar, and “Las cuatro Esquinas”. 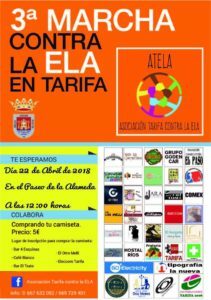 The appointment will be on Sunday, April 22, starting at 12:00 h. in the Alameda.